Hello! 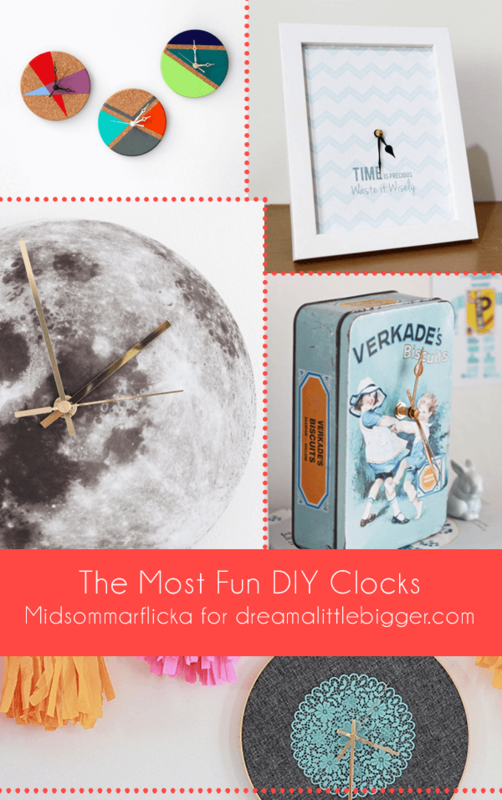 It’s me again, Midsommarflicka, with another collection of fun DIYs! Clocks are one of the things most of us will need in their daily life. But they are still also one of the most neglected things when it comes to home decor. This doesn’t have to be! Yuo can get a clock kit in every craft store, this will include the clockwork, the hands and a little instruction how to assemble everything in the proper sequence. Do you like something silly? Really silly? 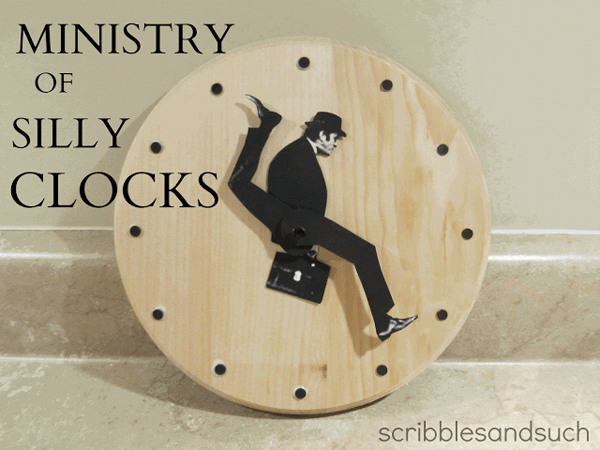 Like a Monthy Python inspired Silly Walk Clock?! Instead of printing a planet, why not use one of your pet? 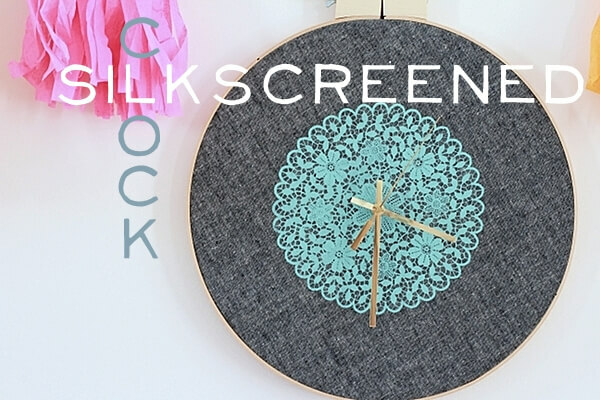 In fact you can use everything to make Photo Wall Clock! Or … how about some upcycling and doing a (Gold) Record Clock. Sure spray-painting the record isn’t a must here. 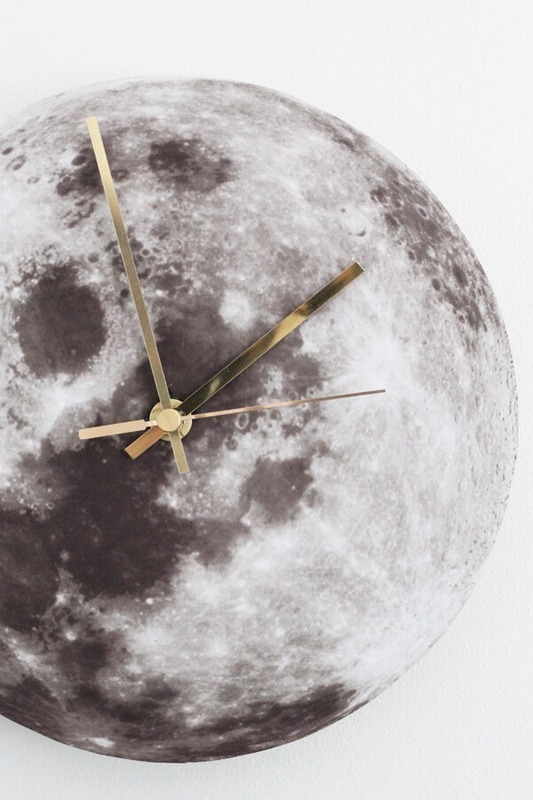 Remeber the cork trivet that was used as a background for the moon clock? 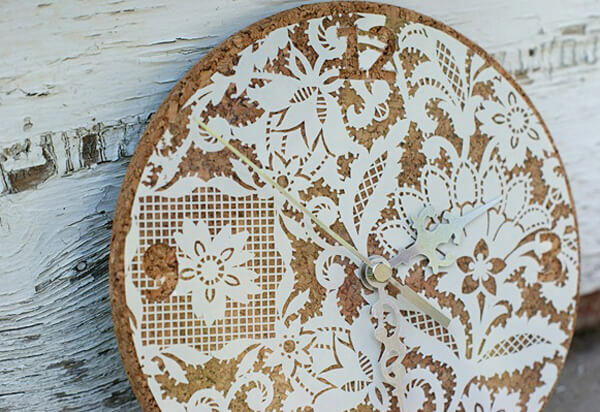 Why not showcase the cork even more with a Corkboard Lace Clock? 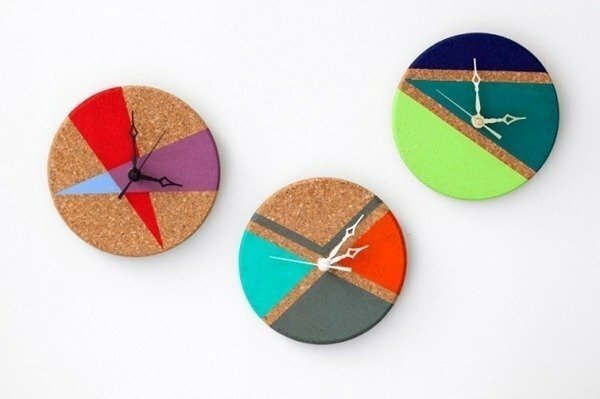 Or just paint the cork in different patterns to create a Color Block Clock! And if things can be put into a embroidery hoop they can also be put in photo frames, right? Right. 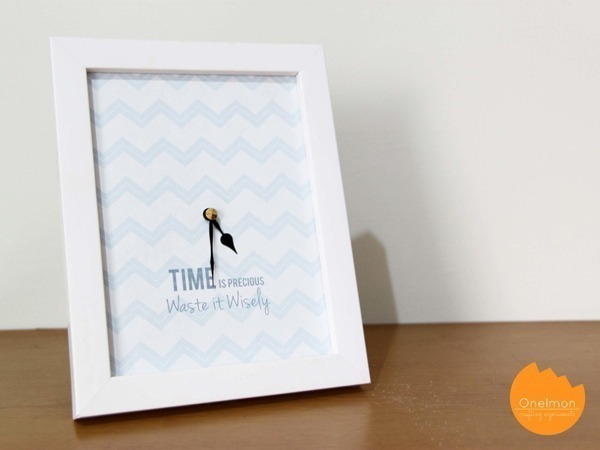 Photo Frame Clock tutorial here! And now for something totally different: (So sorry, but I left my brain obviously at Monty Pysthon after number 1). 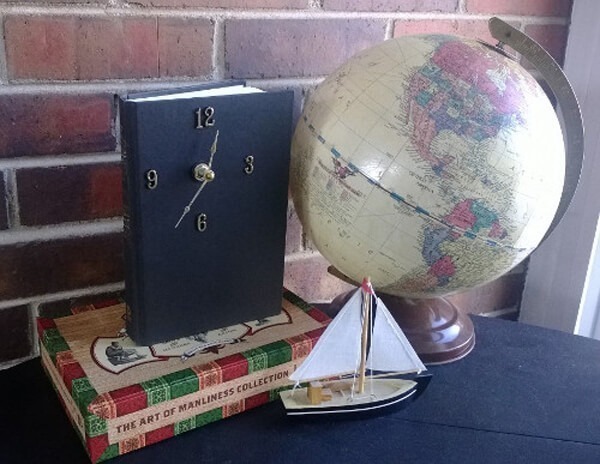 Make a Book Clock! And what belongs to books? Cookies. Cookies and a book is the perfect way to spend an afternoon. 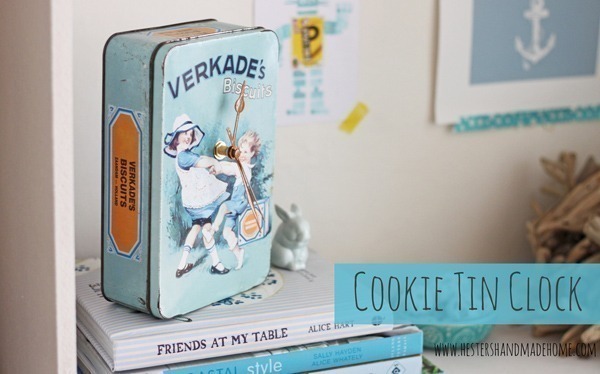 And of course you can also make a Cookie Tin Clock, no problem! And if you like something more simple and natural, you may want to use planks from, for example an old wine crate, and build a Wooden Clock! 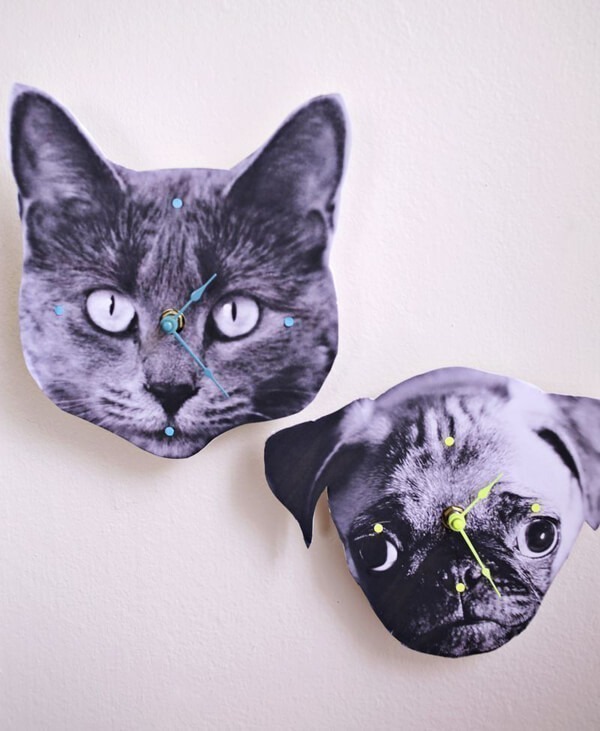 Loving all of the great crafty ideas on how to make clocks fun!!! Can’t wait to get my great nephews together to make a couple of these. Again, thanks for sharing!! Wish you and your great nephews lots of fun while recreating some of these! I’m sure you will enjoy it!